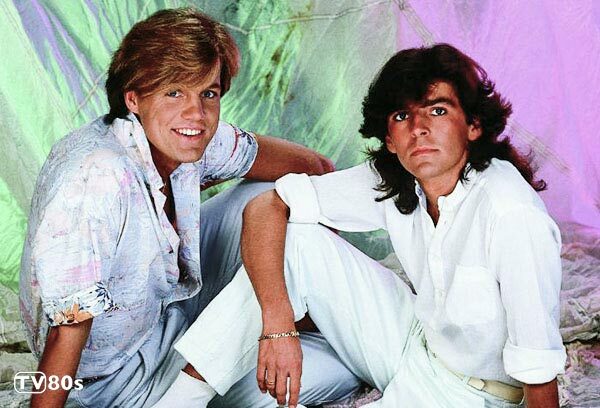 Modern Talking is a Germany’s most successful pop duo consisting of singer Thomas Anders and songwriter and producer Dieter Bohlen (formed his own project called Blue System after split in 1987). They are best known for a number of hit singles: “You’re My Heart, You’re My Soul“, “You Can Win If You Want“, “Cheri, Cheri Lady“, “Brother Louie” or “Atlantis Is Calling (S.O.S. for Love)” that reached number 1 on the singles charts in many European countries.